1. 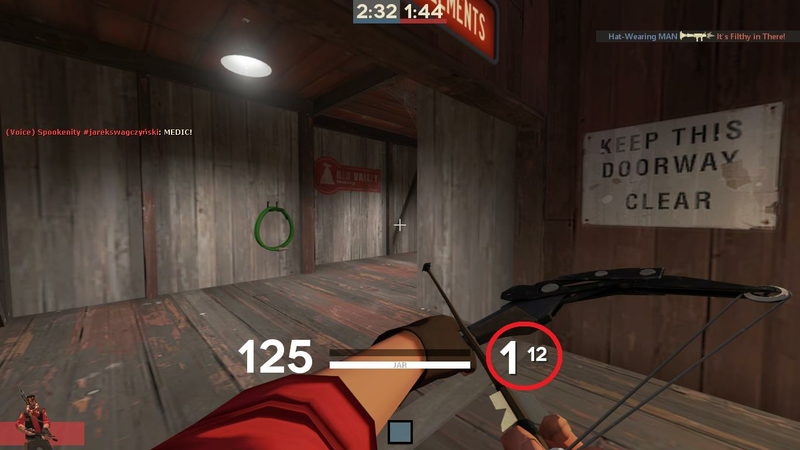 Is there any way to get a Ubercharge percentage always on screen, even when switching to Needlegun/CC? 2. Is there any way to change the color of your Ubercharge bar according to the percentage of your uber? As in, be red at %0-%80 and then green on %81-%100? I have no idea about the first one, but for the second one, I think the closest you can get to that is having different colors for having and not having uber. 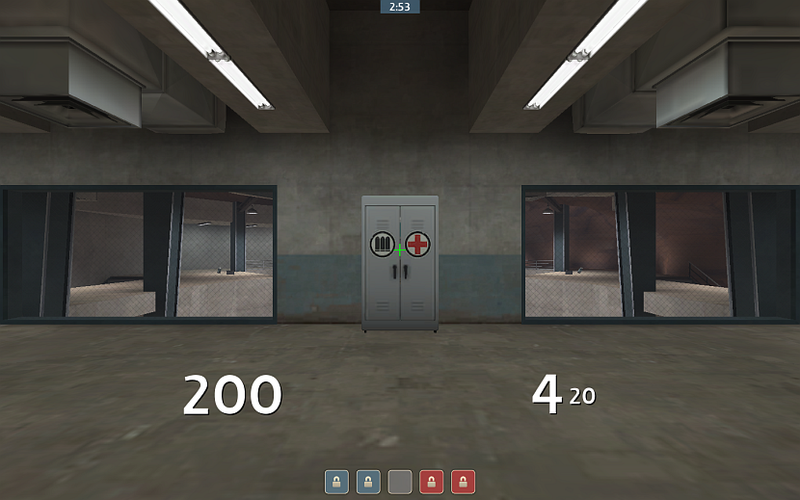 The Improved Default HUD shows the Ubercharge meter as white until you actually have, then it turns purple. 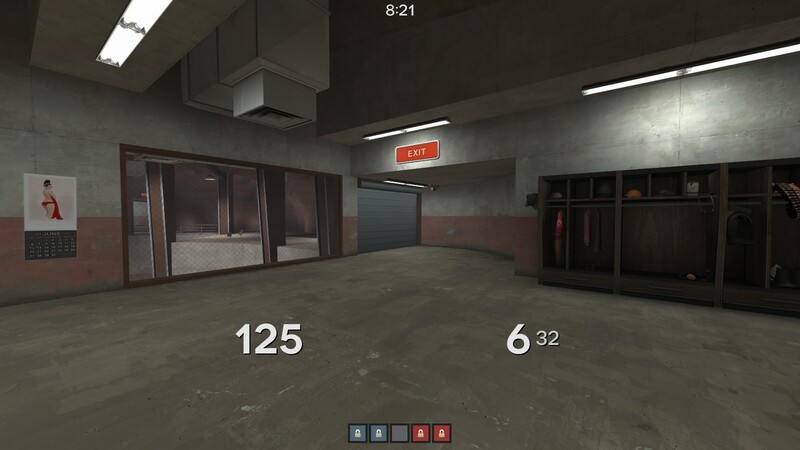 [url=http://rebelconquer.net/thread/16751/improved-default-hud]The Improved Default HUD[/url] shows the Ubercharge meter as [url=http://imgur.com/a/lKTpY#8]white until you actually have[/url], then it turns [url=http://imgur.com/a/lKTpY#9]purple[/url]. 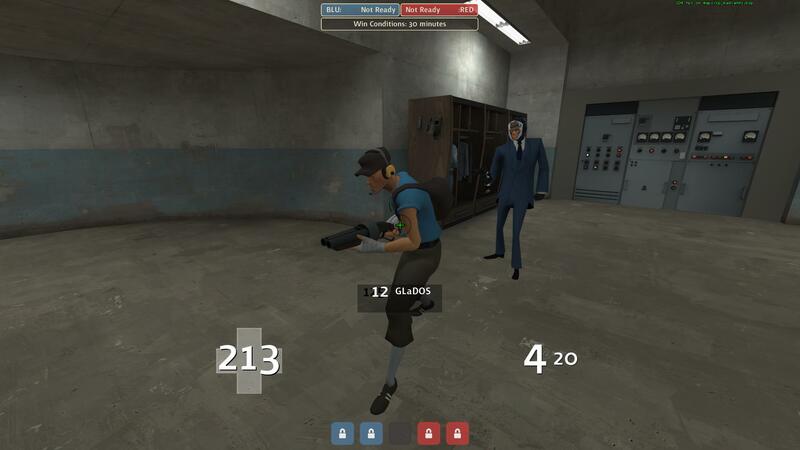 I'm using eggHUD and I'd like to have it so that the server timer is always on in the corner instead of only showing up when I hold tab to see the scoreboard. Wanting to add the map time left timer underneath the round timer on my hud, what res file do I edit to go about this? LionxI'm using eggHUD and I'd like to have it so that the server timer is always on in the corner instead of only showing up when I hold tab to see the scoreboard. can someone tell me how I change the color of the health icon? i've seen some people getting it completly white but I don't know how they do it. _kayzer_can someone tell me how I change the color of the health icon? i've seen some people getting it completly white but I don't know how they do it. It's a custom vtf, you'd be best to just copy it over from a HUD that already has one. How can I change the cl_showfps font? _Kermit _kayzer_can someone tell me how I change the color of the health icon? i've seen some people getting it completly white but I don't know how they do it. How do I go about making these buttons not have rounded corners? I've tried changing every instance of draw_corner_width and draw_corner_height I can find to 0, and it's changed everything I've wanted it to except for generic buttons like that. I've also looked around and changed a lot of vtfs, but nothing's worked yet. OrangecakeHow do I go about making these buttons not have rounded corners? Trying setting "paintbackgroundtype" to "0", or set the "border" to "noborder" and give it some background colors instead. [quote=Orangecake]How do I go about making these buttons not have rounded corners? omniTrying setting "paintbackgroundtype" to "0", or set the "border" to "noborder" and give it some background colors instead. None of the buttons I want to edit seem to have those options, and adding them does nothing to it. how do I get rid of the buffed health cross? I want my health to just to be green when over-healed. Is this in another file? [s]how do I get rid of the buffed health cross? I want my health to just to be green when over-healed. What would I edit to increase the size of the panel for PlayerStatusHealthValueTargetID and its shadow? Trying to rework my TargetIDs to be a bit cleaner and I cannot figure out this part. and if i want it in white? Open resource/clientscheme. Look for "Damage Numbers". The first 3 numbers represent red, green, blue. RGB codes can be found here for example: http://www.rapidtables.com/web/color/RGB_Color.htm The 4th number is opacity, don't change it. Don't set visible/enable to 0 because it won't do anything. Just change the xpos value to "9999"